AMU Recruitment 2019 - Below are various recruitment notifications published by Aligarh Muslim University (AMU) / www.amu.ac.in. As of now, we don't have any active recruitment notification by AMU featured here. We may update as soon as the organization announces a new job notification. If you are looking for any information related to previously organized recruitment drives by AMU, you can browse through previous job notifications mentioned below and get the new updates or information you are looking for. AMU Recruitment 2019 - Job notification for Assistant Professor Post in AMU, Aligarh. Applications are invited by Aligarh Muslim University (AMU) on or before 19 Mar 2019 for 1 vacancy. AMU Recruitment 2019 - Job notification for Senior Resident Posts in AMU, Aligarh, Uttar Pradesh on a Temporary Basis. Applications are invited by Aligarh Muslim University (AMU) on or before 25 Mar 2019 till 04:00 PM for 4 vacancies. AMU Recruitment 2019 - Job notification for JRF Post on a project entitled "Electron/ proton beam irradiation induced dielectric, electro-optical and physical properties of ferroelectric liquid crystal materials" in AMU, Aligarh, Uttar Pradesh. Applications are invited by Aligarh Muslim University (AMU) on or before 05 Mar 2019 for 1 vacancy. AMU Recruitment 2019 - Job notification for Guest Teacher Post in AMU, Uttar Pradesh. Applications are invited by Aligarh Muslim University (AMU) on or before 08 Mar 2019 and Interview to be held on 13 Mar 2019 for 1 vacancy. AMU Recruitment 2019 - Job notification for Staff Nurse Post in AMU, Uttar Pradesh on Temporary Basis. 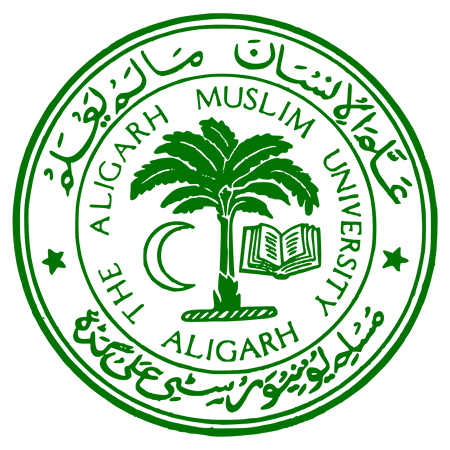 Applications are invited by Aligarh Muslim University (AMU) on or before 11 Mar 2019 for 1 vacancy. AMU Recruitment 2019 - Job notification for Guest Teacher Post in AMU, Aligarh, Uttar Pradesh. Applications are invited by Aligarh Muslim University (AMU) on or before 28 Feb 2019 01:30 PM for 1 vacancy. AMU Recruitment 2019 - Job notification for Assistant Professor Post in AMU, Aligarh, Uttar Pradesh on Contract Basis. Applications are invited by Aligarh Muslim University (AMU) on or before 25 Feb 2019 till 04:00 PM for 1 vacancy. AMU Recruitment 2019 - Job notification for Guest Teacher Post in AMU, Aligarh, Uttar Pradesh. Applications are invited by Aligarh Muslim University (AMU) on or before 28 Feb 2019 and interview held on 06 Mar 2019 11:00 AM for 1 vacancy. AMU Recruitment 2019 - Job notification for Senior Resident Post in Department of Orthopedic Surgery, AMU, Uttar Pradesh on Contract Basis. Applications are invited by Aligarh Muslim University (AMU) on or before 21 Feb 2019 for 1 vacancy. AMU Recruitment 2019 - Job notification for Guest Teacher Post in AMU, Uttar Pradesh on Contract Basis. Applications are invited by Aligarh Muslim University (AMU) on or before 16 Feb 2019 and interview to be held on 21 Feb 2019 for 1 vacancy.